Hey =Lunarx5x=! You may have heard that there is research being done to determine whether certain hallucinogens can be used as a medicine to treat mental illness. However, there are many negative consequences of using hallucinogens. Hallocinogens cause hallucinations or sensations and images that appear to be real although they are not. They can also cause sleep problems, panic and paranoia, speech problems, anxiety, depression and suicidal thoughts. Better to stay away from using hallocinogens! All the questions that we answer will be posted on the web in a couple of weeks. 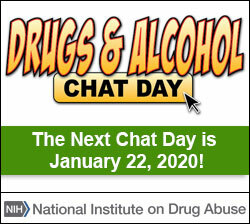 If you go to teens.drugabuse.gov and look under your name, you'll find your answer as well as all the others. Thanks for sending your question. There is no safe tobacco product, especially for teens. Both cigarettes and vapes can deliver cancer-causing chemicals into your lungs, and both can also expose you to nicotine, which can disrupt your brain development. According to the manufacturer, a single JUUL pod contains as much nicotine as a pack of 20 regular cigarettes. Nicotine is harmful to the developing brain because it can change your brain and lead to nicotine addiction. You can get more facts about e-cigarettes by visiting: https://e-cigarettes.surgeongeneral.gov/getthefacts.html. Are juuls more addictive than vapes or traditional cigs? We can't state definitively that JUUL is more addictive. But we are really concerned about the very high levels of nicotine in JUUL compared to other vapes. And the reports we've seen of individual teenagers clearly showing signs of addiction are very disturbing. One thing we're trying to do at FDA is get compelling information into the hands of kids who are walking around thinking e-cigarettes don't carry any risk. Check out our Real Cost E-cigarette campaign at this website: https://therealcost.betobaccofree.hhs.gov/. Are males or females more apt to drinking to much and getting "sick"? Interesting question! Scientists have found that it really depends. Females tend to be smaller than males and have less water in their bodies. As a result, females tend to get more alcohol into their blood and brains when they drink, which can lead to bigger impairments in memory, balance, etc. More men have alcohol use disorders. But women who have alcohol use disorders tend to get worse more quickly. Females also exhibit more brain damage from drinking, more damage to the liver and other organs, and have a higher chance of developing cancers and other diseases as a result of drinking. Hi Who am I! Medical drugs are tested extensively to ensure that they produce the most benefits to the patient while reducing unwanted side-effects, and are therefore healthier than drugs of abuse, when used as prescribed. However, sometimes drugs can have unintended consequences, like with prescription pain-killers that were intended to treat pain but were found to make people develop substance use disorders. You can find more information on these here. are nicotine and caffeine similar? Hey anicola! Nicotine and caffeine are both considered stimulants, or drugs that activate the sympathetic nervous system and cause an increase in heart rate and breathing rate. Are plant based drugs better than chemically made drugs? Hi Captain Obama! Nope, nothing special about plants versus synthesized drugs. Depends on the drug and not where the drug came from. Are psilocybin mushrooms really the safest drug? There really are no safe drugs. It is true that psilocybin like most hallucinogens is not powerfully habit forming and, almost by definition, a non-addictive drug. It belongs to class of drugs that do not interact with the dopamine or reward (pleasure) system in the brain. However, this does not mean that it is a safe drug; psilocybin can cause nervousness, paranoia, and panic attacks. It's a bad idea to introduce any psychoactive drug in a devloping brain, its effects are really unpredictable. Be smart and stay healthy. Are some people have more risk of drugs and alcohol than others? Great question about risk for drugs and alcohol. There are multiple factors that can increase a person's risk for using drugs and alcohol. Research has shown that some of the factors can be biological, psychological, behavioral, or environmental. Often it is not one particular factor, but we do know that early experimentation with substances can increase risk for later use. A number of prevention interventions have been developed to prevent initation of substance use and prevent those who've experimented with drugs to progress from use to misuse. Are some people more at risk of addiction to drugs and alcohol than others? Can doing drugs stunt your growth? Can drugs affect someone's mental illness? i.e depression, schizophrenia, BPD, bipolar. can drugs affect your nervous system? Can an overdose of drugs lead to suicide? Illicit drugs raise the risk of suicide, and it doesn't take an overdose for this to happen. More than half of people who die by suicide have alcohol or drugs in their blood at the time of death! If you are already depressed or having suicidal thoughts, get help and don't use drugs or alcohol. If you have suicidal thoughts while taking a drug, stop taking the drug, and get help right away from a friend or trusted adult. People having suicidal thoughts can also get help by calling the National Suicide Prevention Lifeline at 1-800-273-TALK (8255) anytime, 24/7 (you'll be connected to a skilled, trained counselor at a crisis center in your area). CAN ANYONE BE PEER PRESSURED? Yes, anybody can fall into peer pressure, especially teens who are more vulnerable to peer influences. It is important to have friends and peers who support your healthy behavior, especially when others pressure you into unhealthy behaviors. can anyone fall into peer pressure? Can babies get addicted to drugs? No, not really. Babies cannot get addicted. Addiction is compulsive use despite harm. Babies to not compulsively use drugs. However, if babies are born to mothers that use opioids, they can be born with dependence on opioids, meaning they will go through physical withdraw without opioids. This is a very sad situation, and we are trying to find ways to help these babies. Can being fat be somehow related to adictions? such a great question. I have even published several papers that explore the overlaps between obesity and addiction. they are not the same but they do have similarities. If this connection worries you, you should consult your primary physician who would be in the best position to diagnose and treat any mental or physical disorder. great question. the answer is yes. But as you know, there is no free lunch. Anabolic steroids, for example, can shorten the recovery time between training sessions, but they can also stunt your growth and shrink your testicles. Some stimulants may allow you to cram for an exam but they will also reduce your creativity. So, it is important to become informed and ask the right questions. Use your superpower, choose smartly. can cigarettes cause popcorn lung too? Thank you for joining us, James!. "Popcorn lung" is another name for a disease called bronchiolitis obliterans, which makes you cough and feel short of breath. Workers at a popcorn factory were found to have this disease more than other people, and it turned out that the cause was a chemical called diacetyl. This chemical is also present in many vaping liquids, which is a cause for concern. The contents in vaping devices are not regulated, so it's impossible for a user to know what he or she is vaping. Although this chemical is also present in cigarette smoke, it's not clear whether it can cause popcorn lung, though cigarette smoke has been linked to COPD and lung cancer. Check out these resources on tobacco: https://therealcost.betobaccofree.hhs.gov. Can a person's mental and physical state of mind change because of drug abuse? Yes, for sure! It is common for people who abuse alcohol and other drugs to become depressed, anxious, and hyper focused on getting and using the drugs. It is not a fun way to live. Can alcohol actually cause memory loss? Yes. Alcohol intoxication at a high dose can block the laying down of memories of what transpired while intoxicated. That is called a blackout. Chronic moderate to severe alcohol use disorder, particularly with nutritional deficiences, can permanently impair the ability to consolidate new memories. This is called Wernickes/Korsakoff's disorder. We do not know if alcohol facilitates normal aging dementias. Can alcohol take years off your life? Yes it can! Long-term alcohol misuse has been shown to decrease life expectancy. Alcohol has many harmful effects (see Alcohol Effects on the Body) that can shorten a person's life-span. can sniffing natural products like glue give you and instant rush and if so will it really damage your body? Yes, definately! Sniffing glue to the point where you get a rush, means your brain is not getting enough oxygen. Your brain needs lots of oxygen. And a lack of oxygen can lead to brain damage. Hi ML! While this seems unlikely, marijuana use can cause other side effects that are equally serious.There are reports of marijuana users seeking treatment in emergency rooms, reporting unease and shaking, anxiety, paranoia, or hallucinations, and in rare cases, extreme psychotic reactions. Marijuana use can also increase risks for accidents and injuries. can someone get arrested for heroine? asking for a friend. Absolutely. Heroin is an illegal drug, and a very harmful one at that! But getting arrested isn't really the worst thing that can happen to you when you use heroin. Much of the heroin AND prescription opioids (e.g., Oxycontin, Percocet, etc.) that people buy on the street are laced with a powerful drug called fentanyl. Fentanyl, even in very small doses, can be deadly. Fentanyl is sadly very common in the drug supply right now, and people usually don't even know that's what they are getting. I beg your friend not to risk their life. can someone get high if some one near them is smoking marijuana?